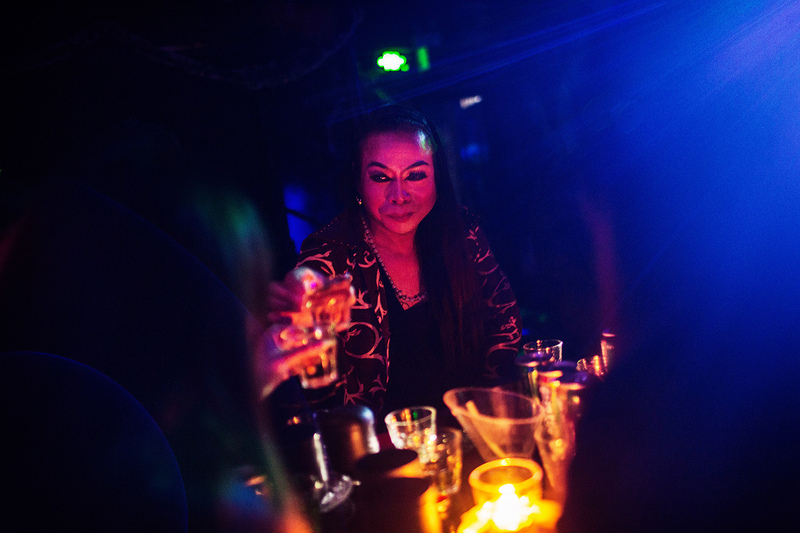 A Chinese drag queen who goes by the name Shancun has a drink with customers after performing at the Chunai 98 Club in Nanning, Guangxi Province, on January 10, 2015. Michael Bristow was stationed in Beijing as the Asia Pacific editor for the BBC World Service from 2005 to 2013. He has written a book called China in Drag: Travels with a Cross-Dresser, in which he recounts his time in China—his travels, his reporting, and his myriad experiences—through the prism of his relationship with his Chinese teacher. The Teacher—who insisted on anonymity—is a Beijinger. He’s a thoughtful and educated man, and also a transvestite. Yet his transvestism is just one aspect of a many-faceted individual whose life has mirrored incredible changes in Chinese society since the Cultural Revolution. On this episode, we talk to Michael about his teacher, and what he learned about China—and about cross-dressing—while traveling through the country with this fascinating man.